Portland Musical Theater Company seeks theatre artists to join our season and mission to create musical theater that spreads hope and joy through our community. We hire Non-Equity performers and encourage artists of all ethnicities and sexual orientations to audition. All roles receive a small stipend ($30 – $200 depending on the role and show) and 2 complimentary tickets to a performance. Please complete the form here to request an audition and be invited to schedule. Make sure to check your spam/junk folder for our email confirmation. In-person auditions are being offered April 10, 13, and 14 by appointment only at at Avanti Music Studios – 2240 SE Hawthorne Blvd. Portland, OR 97214. Video auditions are being accepted at this time through April 14th.Please complete the form and follow the directions for video audition submission. PMTC Alumni may complete the audition request form and skip a general audition. We’ll consider them for a specific role or production and may extend a callback audition. Callbacks will be in person and by appointment only on April 20th and 22 (if needed). Location is TBD. Sing 32 bars of a song of your choice with a background track or a capella. Song should show off the best aspects of your voice. Must be memorized. A speaker will be provided to amplify a track. 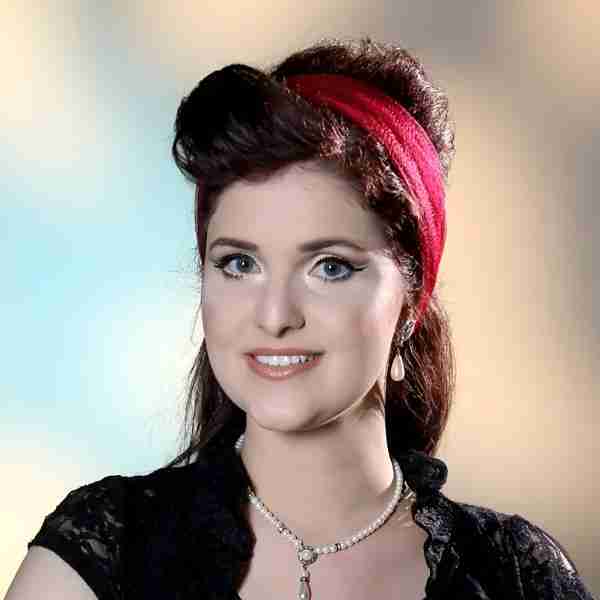 Sing 32 bars of a song contrasting in style from your first song also to be sung with a background track or a capella. Must be memorized. Please bring a current non-returnable photo and resume, if you have them. At this time we are holding auditions for our Mainstage musicals and our Cabaret Cafe series. We’re seeking a seasoned dramatic actor who can sing, dance, and who can instantly convey a range of recognizable and believable characters. Actor will also play a wide variety of other roles, both male and female, including Bing Crosby and Frank Sinatra. Cabaret Cafe is an evening of song featuring our city’s promising vocalists performing their favorite songs within the evening’s theme. Songs performed can be from the musical theatre, pop, jazz and swing or any other storytelling genre depending on the night’s theme. Stage presence and performance are just as important than vocal ability. July and August: Stars of Tomorrow cabaret feature 8-10 performers from the age group performing two songs plus a group finale song for an audience including some directors, producers, and casting agents in the Portland theater community. They will participate in a vocal performance masterclass and a rehearsal with Portland Musical Theater Company founder and executive director, Deanna Maio, receive video of the performance for future video auditions or their reel, one complimentary ticket, and a coupon code that friends and family can use to get tickets, and will be featured in our promotions, press release, and social media. Vocalists will attend one rehearsal and will perform up 15-20 minutes in the evening’s show (4-5) songs along with our professional accompanist. Performers will receive a small stipend, be featured in our promotional emails, social media, and press release, receive two complimentary tickets, can sell their album(s), and promote your next performance or gig, and will receive a coupon code they can share with friends and family. Two productions are still in negotiations with their respective license holders. So we’re holding general auditions so we can get to know you. If we think you’re a fit you’ll be provided information about the productions and invited to callback auditions. 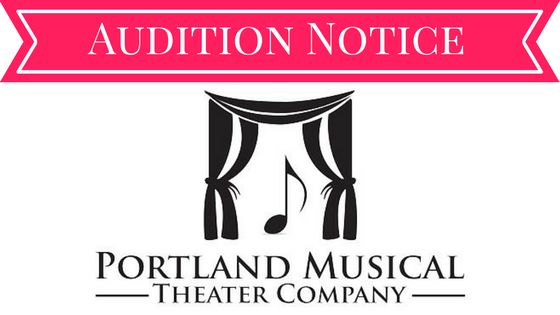 Note: Portland Musical Theater Company is dedicated to furthering the appreciation of musical theatre in the Portland metro community through performances and educational programs. We are committed to two fundamental truths. Each of us is special and has unique gifts to contribute to the world and we’re more alike and connected than we realize. We are a 501c(3) non-profit, theater company. We are committed to objective casting, and do not consider factors of race, gender or ethnicity in casting except when such factors are required by playwrights. We have great respect for your time and will end all rehearsals on time and will never add a rehearsal to the schedule or call you in unexpectedly after the schedule is published.